If Aramaic was good enough for Jesus and the disciples, shouldn't it be good enough for you? 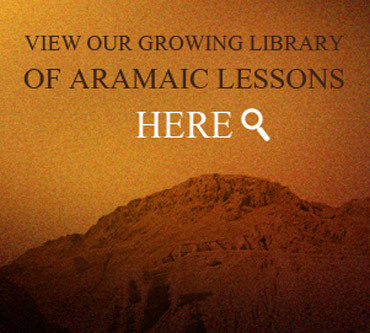 Don't you think you should find out more, and learn Aramaic for yourself? I'm impressed with your work and let me tell you .....it was your "Hebrew letter - edition of Peshitta", that got me started on reading the Gospel of Lord Jesus Christ in its Original Aramaic Language or the Syriac dialect... which is close enough for me... to feel the Heart of Jesus through it and what I want - which I believe is true for you too - is to stay as close to the Heart of Jesus as possible... and I believe that your Edition of The Peshitta allows me to do exactly that. So a great "thank you" to you for that. Just sitting down with some of the most dear Passages of the Gospel and working my way through them with your Peshitta edition gives me unspeakable Joy in the Lord. It gives me a powerful sense of closeness with Jesus. You Peshitta Edition has opened up this avenue for me. And you know what - but because of that - I feel more relaxed with the different Syriac Alphabets now. Thank you again. Wow, you certainly beat everything out there. Your lessons on Serto are incredible. I just heard the Aramaic NT intro video... And I must say Ewan that was very, very well done. You have a nice, gentle and basic approach that will really help introduce these concepts to an audience that has no idea about what really happened. You are going to do very well with this endeavour. Your website and your passion for Semitic languages are both phenomenal. Thanks so much for sending me the link to your new site. It is beautiful! I love the papyrus font! It really looks great. I'll sign up right now. :-) The lessons are going to be wonderful to use for teaching and you are very ambitious with the breadth of the topic. 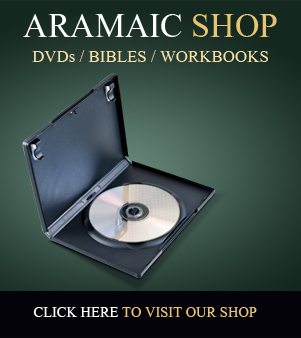 Just to let you know, I am enjoying the Jesus Spoke Aramaic website... I am a missionary to Mexico... Your website is awesome! This website is totally amazing! It's just what I've been looking for... I can finally learn Aramaic, and see for myself everything I've been missing in an English translation! As you can see, people love this website for many different reasons. Aramaic may be the language used in their liturgy, and they want to discover more of their Aramaic heritage. Some people want a closer, or deeper, spiritual or emotional connection with the Holy Scriptures. Others long to understand the Bible better, or serve God more faithfully. Other people want to know what you are missing in an English or other translation. Or maybe you want to know how the Aramaic and Greek New Testaments differ. 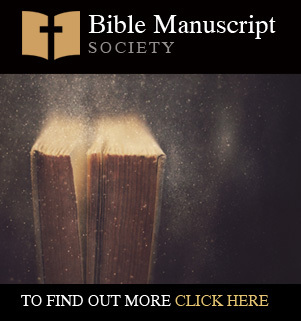 Or you want to get back to a more authentic Semitic (rather than academic Western) connection with the Holy Scriptures, in their original context. Others want to be able to speak the language of Jesus and the disciples - to understand the Bible from the inside out, rather than looking at it externally (from the outside in) through an English speaker’s eyes. 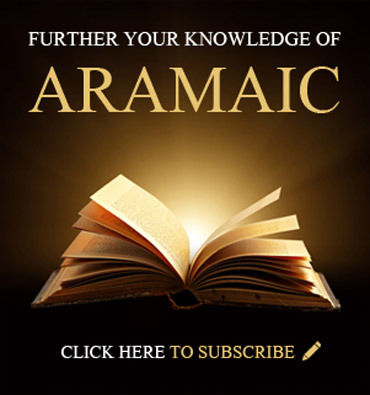 If you would like to further explore people’s motivations and interests in Aramaic, over the years I have collated responses from some of the people who have contacted me about Aramaic and the website, and included them in a book which you can download below. 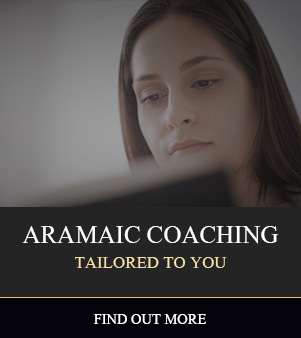 This will give you a flavour of why people want to learn Aramaic, what Aramaic means to them, why they love the work I am doing, and why JesusSpokeAramaic.com is such a wonderful place to learn Aramaic. 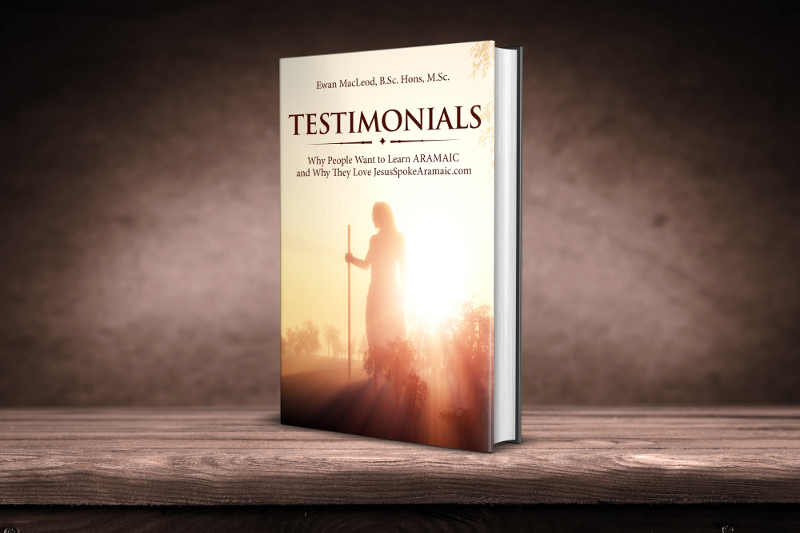 For the full collection of Testimonials, download the book below. NOTE: I am constantly adding to this book, so be sure to come back for an updated version every few months or so.